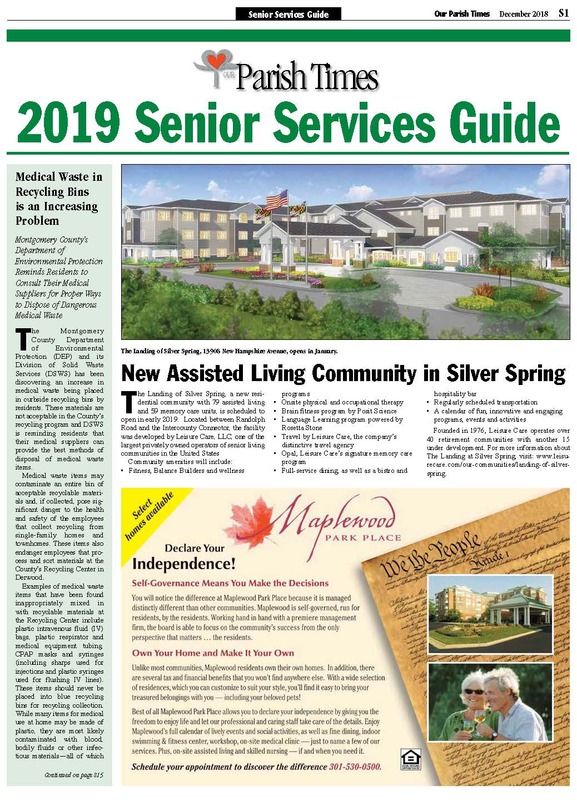 The Senior Services Guide features a comprehensive directory of all local retirement communities and senior housing facilities, home health and residential service agencies, adult day centers as well as selected lawyers, accountants, geriatric consultants, tax preparation, financial planning, insurance, and real estate professionals providing services to Montgomery County’s seniors. To see the 2018 Senior Services Guide ​click here​. To reserve ad space in the 2019 Guide complete the form below and click on the Submit button. Dimensions are listed width x height in inches. Demensions are width x height in inches.